This week's "Who's Hot?" Artist of the week is East Coast lyricist, Tr3 Ali! Tr3 Ali hails from North Miami, Florida, where he started rapping in the 7th grade with some friends in Math class. He used to write down everything that was playing in his head, and wrote 1 or 2 songs a day. Tr3 Ali is an artist that embodies what a true lyricist is and gives off a 90s hip hop vibe with his delivery. This artist is slept on but he delivers some real rap music that should be in your playlist! 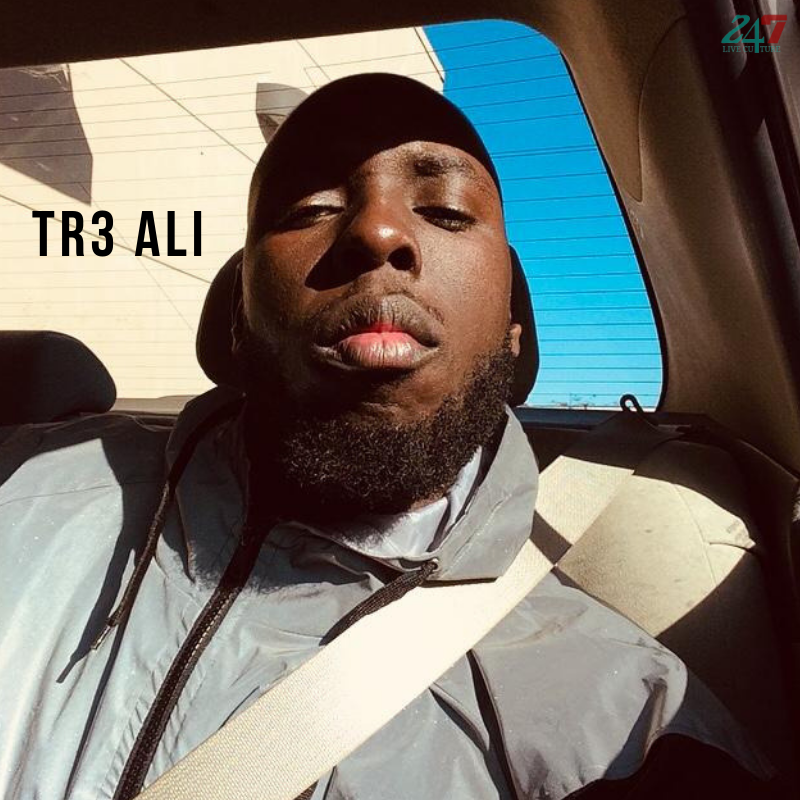 We talked with Tr3 Ali in an exclusive interview, check it out below! Tr3 Ali: I’ve been making music since grade school, 7th grade to be exact. I started to pick up different cadences I would hear from some of my favorite artist at the time, using them as reference points to develop my own unique flow. Tr3 Ali: 2pac would definitely have to be one of my favorite rappers of all time. The energy Pac brought on every track was inspiring; the vibrations you pick up from his voice each tell a different story, some of pain, some of joy. Pac was the king of expression through music, making what is internal external. Tr3 Ali: I would love to collaborate with ScHoolboy Q, Curren$y, Nas and a few others. ScHoolboy Q makes amazing music. He is a master at portraying his life story in his music, through vivid descriptions of everyday life in LA. Curren$y’s music is very relatable, and his style matches the tone of each song, also very great at helping the listener visualize the words. Last but not least is Nas, what more can be said? Tr3 Ali: “That’s Yo Problem” because it has a gritty cryptic message hidden within the lyrics. I enjoy writing my bars in a coded format, as to hide it’s true meaning of a verse except to those persons who actually “listen”. Tr3 Ali: I love reading books, also life experiences inspire me, and the possibilities of learning something new each day are infinite. Tr3 Ali: I define a successful person, as someone who sets a goal, and slowly takes steps towards that goal. QUESTION: How do you describe your music to people? Tr3 Ali: My music is my within realm, externalized without on this plane of existence. It is the electromagnetic vibration of my soul brought into density. QUESTION:Do you believe there is a formula to being a successful artist? Tr3 Ali: Yes. It is to be yourself, and to know yourself. Tr3 Ali: My parents, I also inspire myself to continue to grow. Tr3 Ali: I will say Kendrick Lamar because he is very unique as far as his style and what he brings to the table in both storytelling and lyrical substance. Tr3 Ali: Hunger, my music encapsulates many emotions, my mind was either in turmoil or at peace. Whichever mood I am in, is what ultimately drives my songs. Tr3 Ali: Time, relationships, etc. a small price to pay. the Laws of the Universe remain. QUESTION: What aspect of the music making process excites you most, and what aspect discourages you the most? Tr3 Ali: For a long time I have had to be both the engineer, and the artist. Mixing and Mastering my own music, a learning process that took years (still getting the hang of it) but I enjoy it, because the opportunity to learn a new plugin or try something different always excites me. Tr3 Ali: 10 years from now I will be looking back at my work, and smile regardless of the outcome. Tr3 Ali: Well I haven’t broken in just yet.. stay true to yourself, take action, and the doors will be opened. This week's "Who's Hot?" Artist of the week is London based R&B songstress Lylo Gold! We talked with Lylo Gold in an exclusive interview! Check it out here!